Enter your account at the StaffCounter service. Insert the name on this computer or employee name. Click Register. If you need to monitor not only current user, but all users on this computer check on the option Auto register all users on this PC. By default the language of the interface is Russian. But it is possible to change it to system languare. Staffcounter applicaiton supports 4 languages: English, Russian, German and Italian. If the system language of your Linux is other one, the intraface will be in English. You can change the interface language before the installing of Staffcounter monitoriung agent. After the downloading of installation package, unzip it into a new folder. Open “files” folder and edit staffcounter.conf file. Erase [language] section with the following text. Save the file. 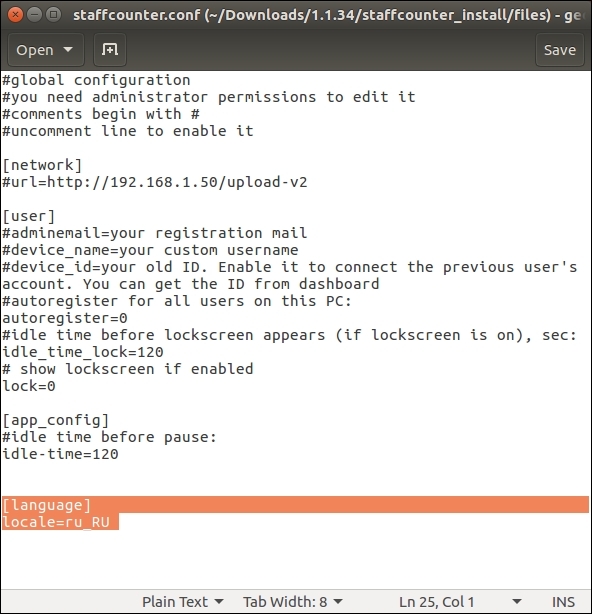 Install Staffcounter agent from this package. The language of the applicaiton will be English if the system language is English. 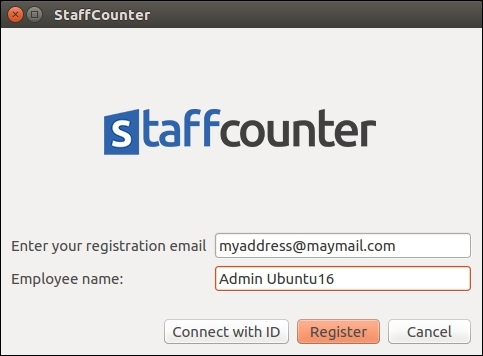 Can a worker turn StaffCounter off for some time? 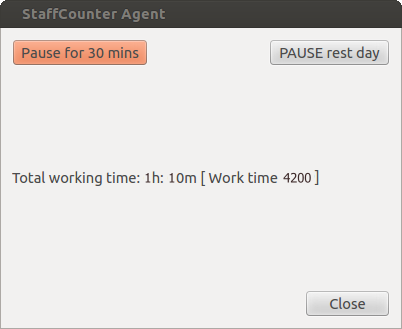 An employee can click on the StaffCounter Agent icon in the system tray and pause monitoring for 30 minutes or for the rest of the working day. This time will not be counted as working time.